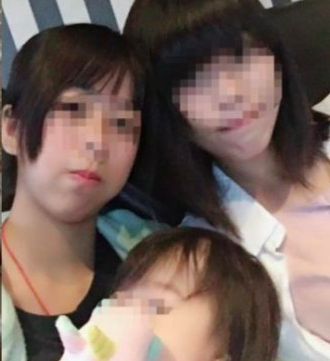 Recently, an 18-month baby girl was heartlessly beaten to death by her 17-year-old mother just because she refused to drink milk and had accidentally tipped over her mother’s cosmetic products. This appalling incident happened in Taiwan on 15 January 2019. According to Oriental Daily, the parents gave birth to the baby when the father was just 20 years old while the mother was 16. However, the couple had broken up last year and the mother was appointed the custodian. 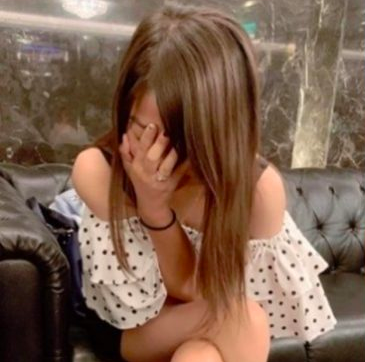 Later, she moved out and stayed with her three female relatives – who are all in their 20s – and a 27-year-old man who worked as a taxi driver. During the night of the incident, the mother had brutally beaten the baby using a back massager tool because the toddler wouldn’t drink her milk and had spilt her cosmetic products over. What’s more shocking was that the mother even allowed her three relatives to take turns in beating the baby. What the hell! The poor toddler kept crying but they couldn’t be bothered. Soon, the baby lost her consciousness, but the adults actually thought she had fallen asleep. They even brought her to their karaoke session and had fun singing for three hours. When the toddler’s eyes rolled back at the karaoke, the mother even hit her head not knowing that her baby had passed away. After the singing session, the mother noticed something was amiss and rushed the baby to the hospital but it was too late. 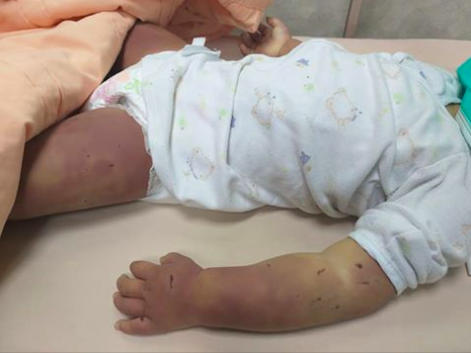 The doctors who tried to resuscitate the toddler found bruises all over her body and recognised that some wounds were caused by sharp fingernails. As such, police were called in. The post-mortem revealed that the baby suffered bleeding in her skull, or known as intracranial haemorrhage which led the police to believe that someone smashed the baby’s head against the wall or she fell on the ground head first. The mother and her housemates were detained by the police and all of them pleaded guilty. However, they defended themselves by saying that the baby was possessed by evil spirits and had to be beaten in order to make her obedient. Apparently, the beatings have intensified since January 2019 and they would hit her every time she started crying. The police raided the house and found the back massager tool, a cane, and a plastic tube, which were believed to be used in the child abuse. The baby’s biological father and grandmother broke down upon hearing the news. “Daddy will make sure justice is served. I regret I didn’t make you stay with me and allowed you to go through all the sufferings. I’m sorry, please be my daughter in the next life. Daddy loves you,” the grieving father wrote on Facebook. After the news got out, hundreds of citizens surrounded the police station as they wanted to teach the child abusers a lesson. Hundreds of policemen were dispatched to the scene as citizens were highly emotional and disobeyed the instructions. This news is just so heart-wrenching to read and we sincerely hope the mother and the other accomplices will get the maximum punishment. RIP little angel.